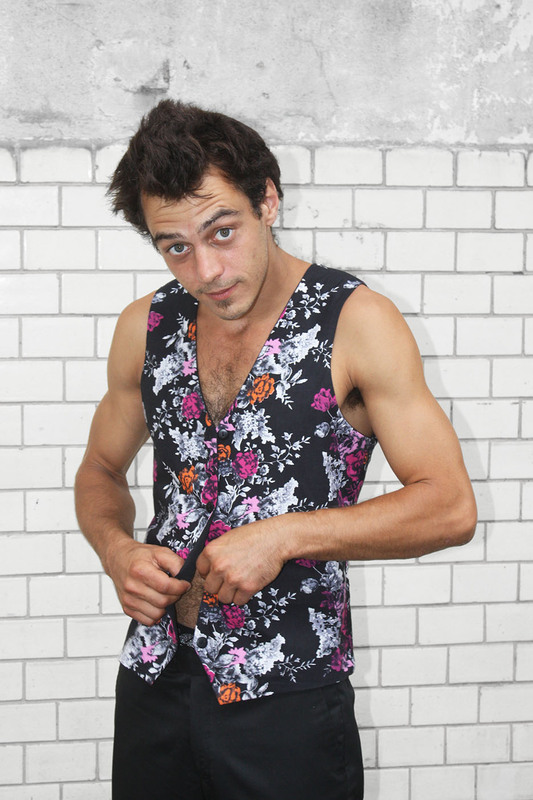 Floral waistcoat for men, reversible, made out of polycotton and cotton. One side of the waistcoat black, made out of polycotton. 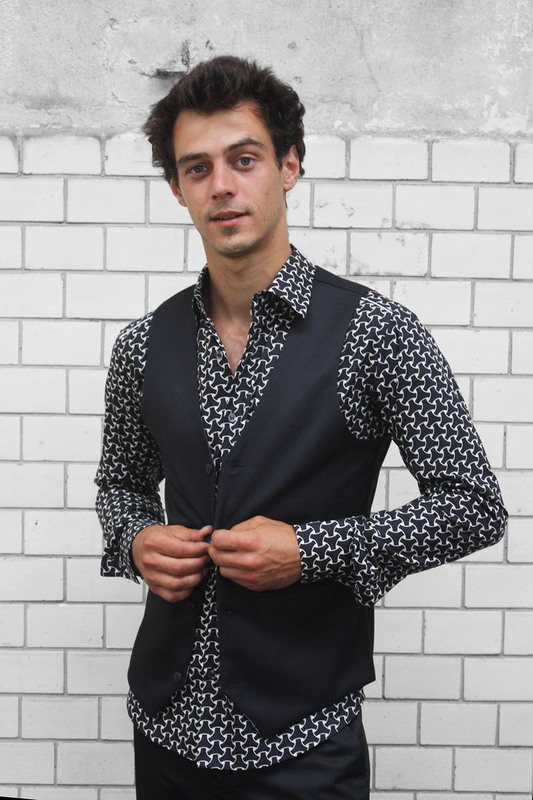 Other side of the waistcoat with retro floral pattern on black background, made out of cotton. 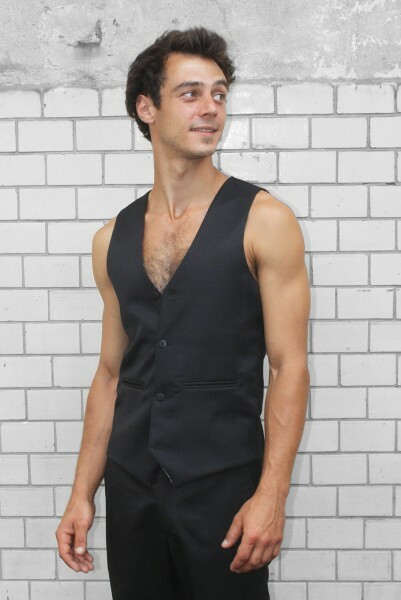 Two welt pockets & half-belt on the black side.